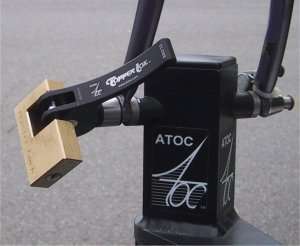 The Topper Lok is a locking skewer that allows you to lock your bikes to the DraftMaster and Topper series bike mounts. These locks are not included with the racks. You'll need one lock for each bike position on your rack.